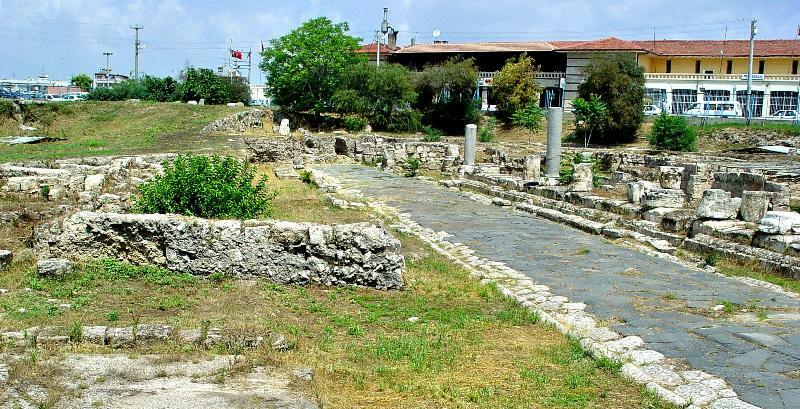 As we further explore what can be seen of ancient Tarsus, one important archaeological point of interest is a street built during the late Hellenistic period, thus predating the Apostle Paul. Tarsus, Ancient Street. Dates back to the time of Paul. Photo by Leon Mauldin. The discovery of this street, along with the ancient shops and houses that have been unearthed, is a story that has been often repeated. Work was being initiated for an underground parking deck when this discovery was made. So frequently it is the case that it is in connection with various construction projects that such discoveries are made (see here for “rolling stone tomb” in Israel). Behind and to our right of our position in the above photo you can get a glimpse of how much silt has built up above street level: 23 feet at this point. 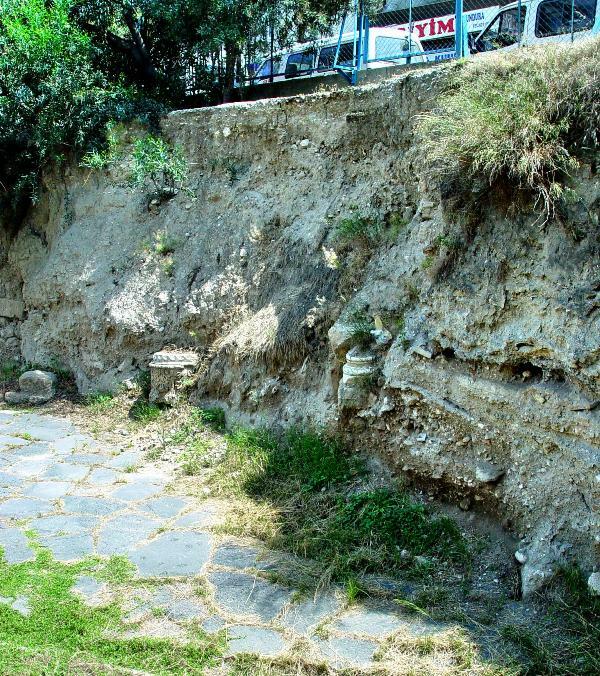 23 feet of silt accumulated above Tarsus Street of Paul's Day. Photo by Leon Mauldin. This allows you to see the location of the modern city in relation to the ancient ruins below. This entry was posted on Friday, December 16th, 2011 at 7:19 PM and is filed under Archaeology, Bible History and Geography, Bible Study, New Testament, Travel. You can follow any responses to this entry through the RSS 2.0 feed. You can leave a response, or trackback from your own site. That is a lot of silt!